If you have been under contract for design services on a publicly funded project, you know that sole sourcing hardscape products is almost always disallowed. So when your project involves federal, county or local funding, how can you play within the rules to avoid sole sourcing, and still get the product you're looking for? Landscape architects and engineers are faced with this challenge every day on their trail, greenway and park projects. How do we go from design to bid to construction- and at the end of the day end up with a boardwalk that meets the needs of the owner and your design team? A good set of plans and specifications are key to achieving this goal. This issue applies whether the product is a boardwalk or pedestrian bridge material such as PermaTrak, or a water fountain, lighting, trail signage, or playground equipment. In the video below, Jason Philbin, P.E. answers this question as it relates to PermaTrak's maintenance-free concrete boardwalk system. 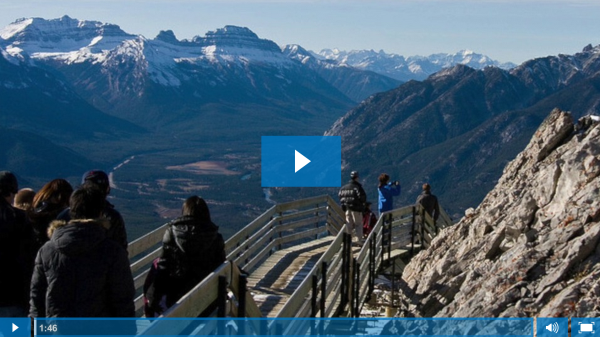 If you have decided the PermaTrak boardwalk system is right for your project, watch this video to learn how you can avoid sole sourcing, yet still get what you want in the final product. If you're researching boardwalk or pedestrian bridgematerials, you're probably comparing wood (timber) decking vs. composite decking vs. concrete. Building materials perform best when they are utilized in very specific capacities and boardwalk materials are no exception. One building material doesn't necessarily lend itself to all types of construction, so it's important to research thoroughly and compare the pros and cons. After 6+ years of designing concrete boardwalks here in the US, we know which applications make most sense for PermaTrak. The benefits of concrete boardwalks include durability, environmental friendliness, and long-term cost savings. And I'm proud to say we’ve designed and produced PermaTrak for many different types of applications all over the US – from wetland crossings and multi use trails to fishing piers and observation decks. But let’s be honest– concrete boardwalks are not the perfect solution for every boardwalk or pedestrian bridge project. Depending on your project type, PermaTrak may not be the best fit; so we may as well discuss those applications up front! Here are a few places where it just doesn’t make sense to use our precast concrete system for your boardwalk construction projects. 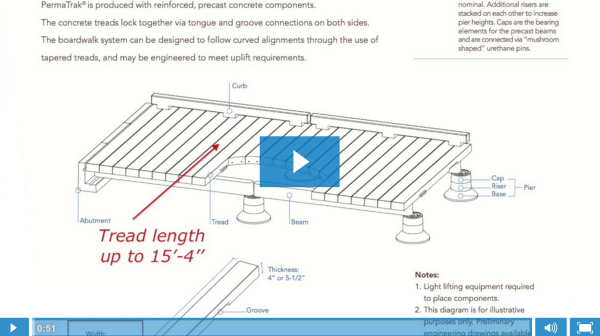 This video below explains a few instances where it wouldn't make sense to use PermaTrak's precast concrete system for your boardwalk or pedestrian bridge project.